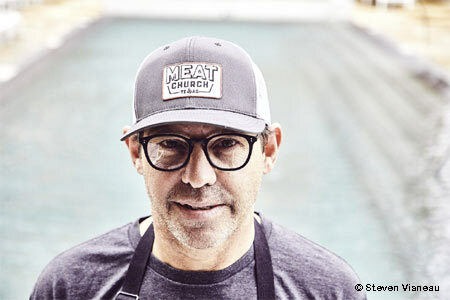 Chef John Tesar will open Outer Reef in late 2018 at Laguna Cliffs Resort & Spa in Dana Point. The restaurant will highlight seafood sourced exclusively from the West Coast, as well as California produce. Diners can also expect to find some dishes carried over from Tesar's Dallas restaurants, including meaty offerings from Knife (one of GAYOT's Best Steakhouses in the U.S.) and Spoon Bar & Kitchen’s crudo, caviar and shellfish. Outer Reef, Laguna Cliffs Resort & Spa, 25135 Park Lantern, Dana Point, CA 92629, no phone. Toast Kitchen + Bakery is open in Costa Mesa. Dishes from the brunch menu include Thai chile chilaquiles, hot chicken & malasadas and Nutella stuffed french toast. Toast Kitchen + Bakery, 1767 Newport Blvd., Costa Mesa, CA 92627, 949-873-5057. French chef Daniel Boulud (of Daniel in New York City, one of GAYOT's Top 40 Restaurants in the U.S.) pioneered the "Gourmet Burger Revolution." So, it’s only natural that on Bastille Day, July 14, 2018, he launched "THE UMAMI FRENCHIE" with the famous UMAMI BURGER chain. (The timing was lucky as France won the 2018 FIFA World Cup the next day!) Discover the tasty burger, presented by Boulud himself, in this video. Then, go try it for yourself at UMAMI BURGER in Costa Mesa, Anaheim and Irvine. Part of UMAMI BURGER's Artist Series, "THE UMAMI FRENCHIE" ($18) will be available until September 14th. One dollar from each burger sold will benefit charitable organization Citymeals, which provides a lifeline of nourishing meals and vital companionship to New York City’s homebound elderly. Umami Burger, The Camp, 2981 Bristol St., Ste. B2, Costa Mesa, CA 92626, 714-957-8626. Tangata Restaurant, the Patina Group venue located within Santa Ana’s Bowers Museum, has tapped Brian Kiepler as its new executive chef. A longtime member of chef Joachim Splichal’s restaurant group, Kiepler has previously served as executive chef for Nick & Stef’s Steakhouse in Los Angeles as well as executive chef at the Los Angeles Contemporary Museum of Art, where he oversaw the property’s culinary operations. 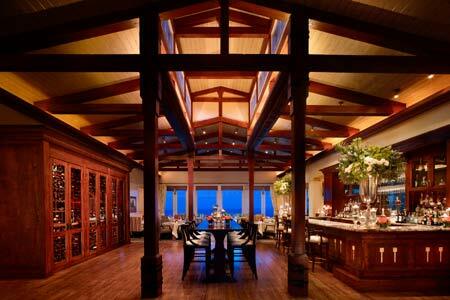 At Tangata, Kiepler oversees a globally-inspired menu marked by distinct Pacific Rim influences. Tangata Restaurant, Bowers Museum, 2002 N. Main St., Santa Ana, CA 92706, 714-550-0906. Craig Strong has parted ways with Studio, one of GAYOT's 2017 Top 40 Restaurants in the U.S. Strong, who had spent the last nine years as executive chef for the Montage Laguna Beach’s flagship restaurant, has announced plans to open his own venue in downtown Laguna Beach. Studio, Montage Laguna Beach, 30801 S. Coast Hwy., Laguna Beach, CA 92651, 949-715-6030. Strickland's has announced that it will close its Irvine shop in 2019. The ice cream purveyor is considering relocation. Strickland's, 4523 Campus Dr., Irvine, CA 92612, 949-387-9955. ESPN Zone (1545 Disneyland Dr.) and Rainforest Cafe (1515 S. Disneyland Dr.), two dining mainstays of Downtown Disney in Anaheim, have closed. The venues, which had been culinary cornerstones of the dining, retail and entertainment complex since it opened in 2001, shuttered along with other stores to make room for a yet-to-be-named 700-room hotel that will cover 17 acres. ESPN Zone and Rainforest Cafe, Downtown Disney, 1545 Disneyland Dr., Anaheim, CA 92802, no phone.